Alternating pinch pleats give this rectangle lamp shade a clean yet textured feel on its softback frame. Add visual interest and a contemporary feel with this all white lamp shade featuring an all over pinched pleated detail. While the rectangle shape adds a unique and special touch. A chrome spider fitter completes the look. 14" wide x 7" deep x 10" high. Rectangle softback lamp shade by the Springcrest Collection™. Cotton and polyester interior and exterior. Pinched pleat detail, top and bottom puff trim. Chrome spider fitter; the correct size harp is included with this item. pleats true white by other reviews style is different and like its elegance. Just hoping the size is correct for me. We will see. it looked more interesting than a smooth one. right size and shape, texture gives it visual interest. not sure how to clean them though! Hello will this shade fit a slip UNO fitter lamp? 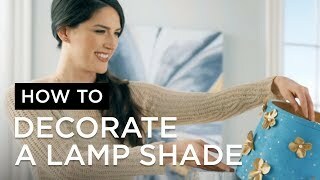 BEST ANSWER: Hi Vera - no, this shade has a spider fitter, so it will not work with an uno style lamp. The shade is absolutely perfect. Very elegant. This size is just right and the color is very true white. 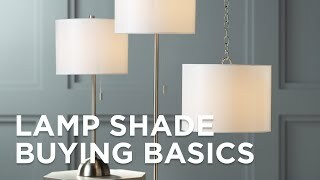 I would recommend this shade to others who are looking to add to an elegant type lamp. In a bright white colorthis cylinder drum shade features narrow trimming details along the top and bottom. A softback empire lamp shade in a classic and timeless side pleated design in an all-over ivory color.